Is Your Agent Focused on Value to YOU, or Cost to Them? The answer is (hopefully) — both. 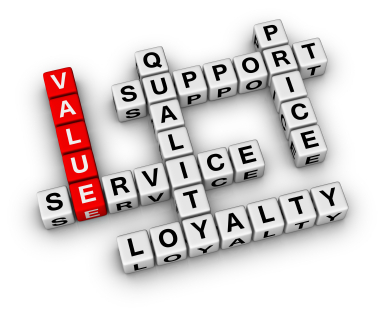 Any good business person evaluates if the expense to them is “worth” the value they receive. As your representative, however, a real estate agent is ethically required to keep YOU in that equation — the expense to them should be worth the value to YOU! Say we have a 4000 sq ft home on the market for $650,000. The Seller will pay $39,000 in commissions (using 6% as a token commission). When it doesn’t sell, instead of retooling their marketing plan, the agent recommends cutting the sale price to $600,000. So, by cutting the price to $600,000 — the agent’s commission now drops to $9000, and you could say they “lost” $750 in commissions, between the full price of the home and reduced price. (But they’re still walking away with $9000). $ 50,000 loss in owner’s equity in his home. Wouldn’t it be better to spend $ 800 on a SMARTePLAN® (4000 sq ft x 20 cents per ft) to MARKET THE LISTING and see if it sold at the full price first? WHO is realizing the most value in this scenario? As a corporate marketing manager, I recall times when a product did not sell as well as we first hoped. We re-examined & revamped our marketing approach and I assure you, we did NOT go to the VP of Sales and tell him our marketing is just fine, he just needs to cut his price to sell — especially since it was our research and data that helped set the pricing in the first place. And isn’t that the same with your agent? Didn’t you hire them so they could run comps and do research in order to set the realistic sale price of your home and position it properly in the market? Why is it OK to come to you a few months later and recommend you cut that price and lose your owner’s equity, instead of them utilizing the most effective marketing tools available to them? Is this good value to you? There are valid reasons to reduce the price on a listing … but don’t you want an agent to use every marketing-tool-in-the-toolbox before they recommend vaporizing $50,000 or more in your owner’s equity? Don’t you want an agent who views cutting price as a last resort — instead of an up-front part of their “marketing” plan? There is a new breed of customer-centric “eAgents” that include new online eTechnologies, like SMARTePLANS, as part of their marketing program to differentiate your home, and amplify its sale ability in the online marketplace. You are paying an agent a commission for market performance — for the same 6% commission you can easily pay for lesser service, lesser market exposure, and lesser performance. It’s up to you to determine which Agent’s marketing will deliver the most value to YOU — do the math!